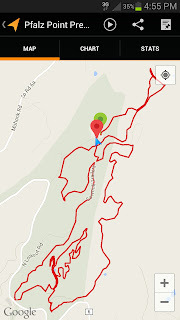 Yesterday I previewed the Pfalz Point Challenge course. 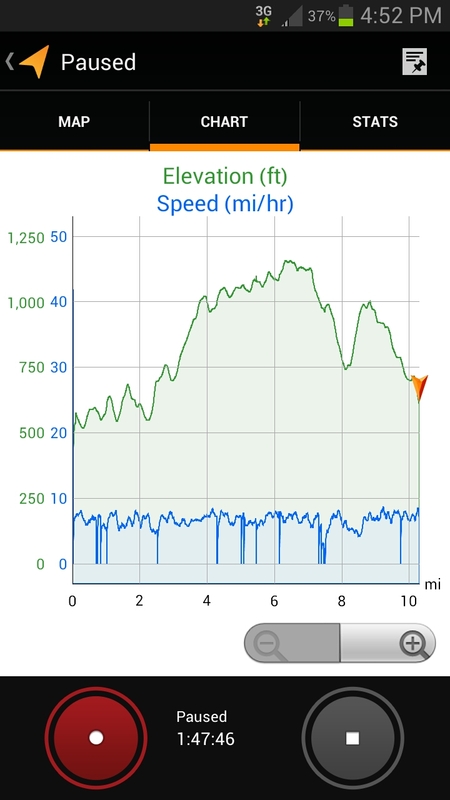 I've been training for this race for most of the summer, and it was fun to finally run the course. 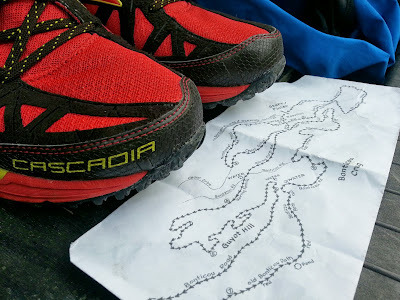 I didn't bring an official map though, and I pretty quickly found myself lost halfway through, in the loops around Guyot Hill. I'm looking forward to the race next Sunday. 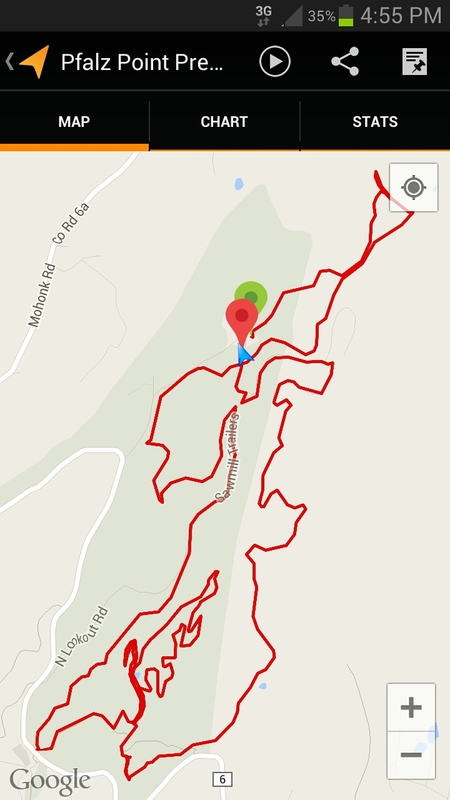 Miles 3 and 7, which have significant uphills on singletrack, will likely be the most challenging sections. Mile 3 is particularly challenging, as there's a whole lot of race still left to run. 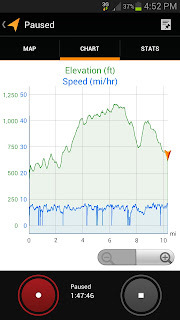 Mile 7 is followed by nearly 2 miles of downhill on carriage roads, so it seems like less of an issue. 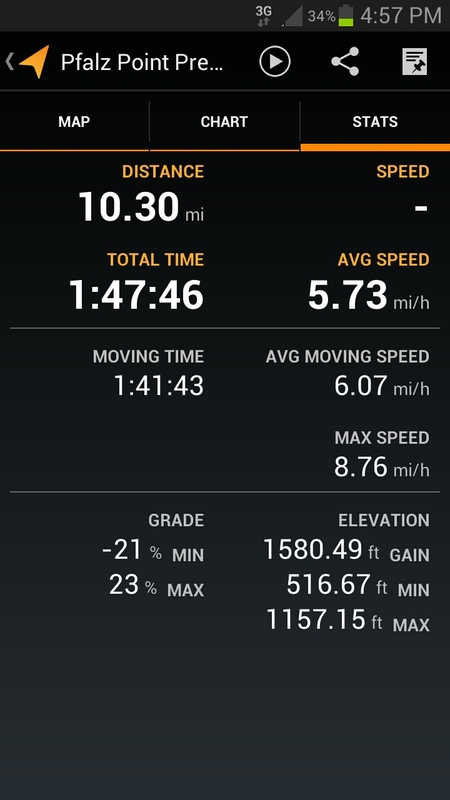 Over the past few months I've begun carrying my phone with during my longer trail runs. The Google app My Tracks is one of my new favorites. I'll be reviewing it in an upcoming post. 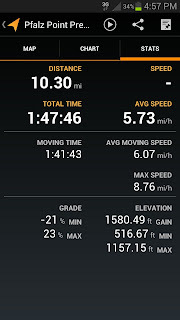 Here are a few screenshots from the day, which provide good details about the course profile.